Handmade Tibetan Necklace Tibetan Sterling Necklace. 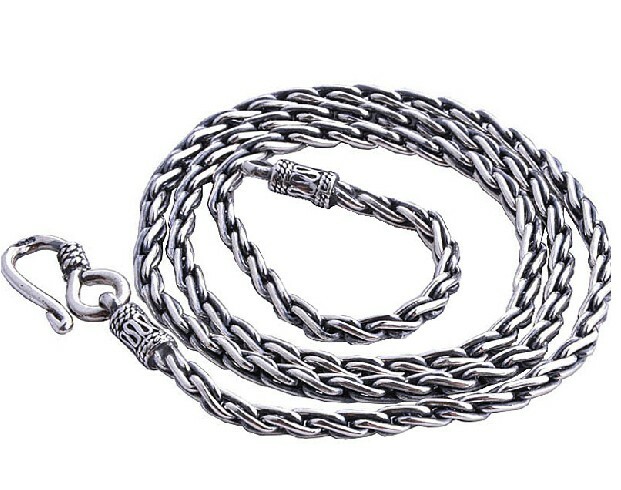 This tibetan necklace was handmade in Nepal from sterling silver. 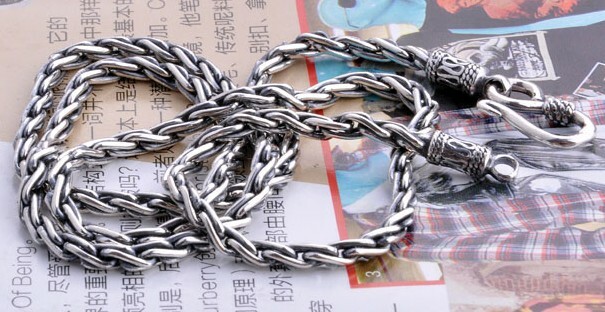 There are three specification of length: 450mm, 500mm, 550mm. Width: 3mm. Weight: 23.1g.